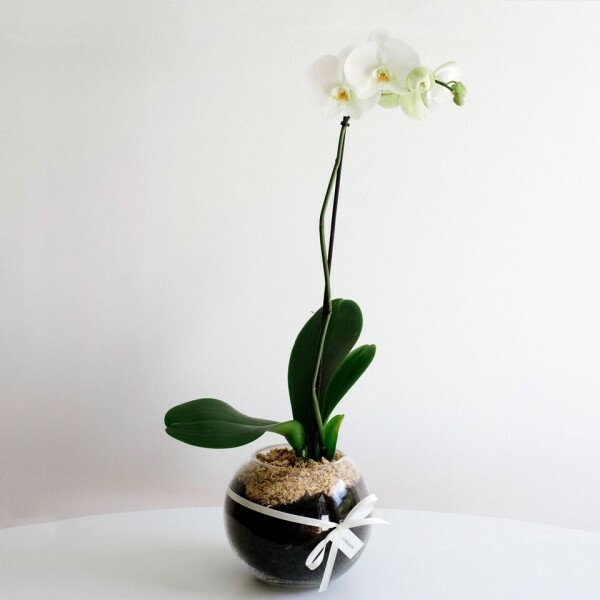 The phalaenopsis orchid is a highly decorative, warm climate plant with long lasting blooms. The perfect low maintenance gift for someone special. It comes in a gorgeous glass fishbowl vase with a layering effect of stones, soil and sphagnum moss. Beautifully ribboned and includes a complimentary gift card for your message. This is the perfect gift for someone who doesn’t love flowers and also suits a bereavement or sympathy gift when you would prefer not to send flowers.